When it comes to air travel from and to the mid-valley, we are lucky to have the Eugene Airport less than an hour away. Its drawback is that it’s small, but that is also its great attraction. Getting there from Linn and Benton counties is a breeze. Parking could not be more convenient. A short stroll from the parking spot and you’re in the terminal. The security check is no hassle because there is no big crowd and you get scanned quickly. If you’re there for an early flight and have to wait, you have your choice of many quiet places to sit and read. Another good point: Several airlines fly out of Eugene with regional jets that are fast and comfortable — more comfortable than your typical perch in the coach section of those giant intercontinental liners. From Eugene, you can fly direct to Portland, Seattle, San Francisco or Oakland, Los Angeles, Hawaii, Las Vegas, Phoenix, Denver and Salt Lake. From several of those points you can make connections to the rest of the world. Flights may cost a little more than starting in Portland, but by using Eugene we avoid the long drive. Barbi Thomson, on Faqcebook: Its best feature is that it’s not Portland. 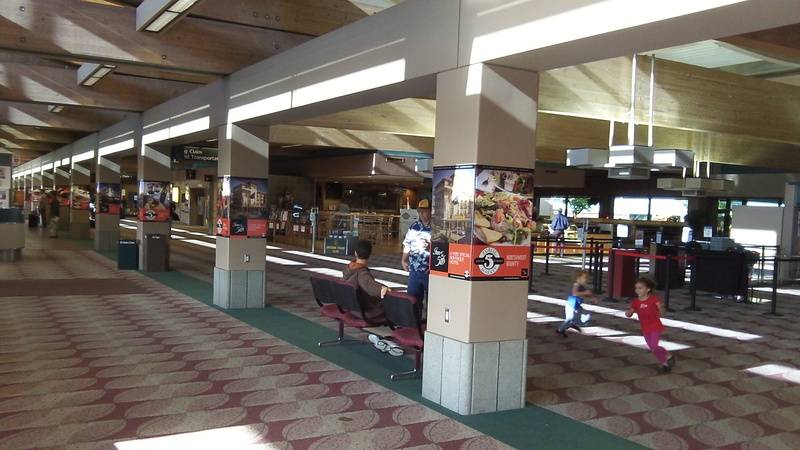 Rynni Henderson, on Facebook: When I flew extensively for Lee (Enterprises, the newspaper company) and lived in Corvallis, I was soooo thankful for the Eugene airport! David Moore, on Facebook: Yeah we know about the Eugene airport. It’s been there awhile. lol. Mary Grace, on Facebook: I can’t seem to get anywhere from EUG…tried to book flight to VA for Nov and had to go way out of way and cost was 3 times the ride to PDX, which is easy to negotiate, for me anyway.